honestly, I had been holding off so long. everyone but me and that's precisely why I didn't want to start. much like the Harry Potter series, I held off reading them because.... well, because everyone else was reading them. the pressure got to be too much for me. I had Twilight lovers coming from all sides. (love ya Becky and Karli) how long can a girl hold her ground with that kind of pressure? and I buckled. Jason says I read the first book in three days. but that's just not true.... I had a psychology test and took a good day or two break for that of course, then there was church and school and Mini Bazaar. in fact I just finished it two days ago and I started the second yesterday. my point to this whole story is that, yet again, I gave into the crowd (I have proven to be quite a little follower) and, yet again, I am happy I did. the story behind the story--about how the book came about was so interesting and very inspiring! go to the official website to check it out and prepare to be inspired yourself. Oh my, the Twilight books! My YW girls are ga ga over them. My friend Shelly lives in Stephenie Meyer's stake. Shelly's husband wouldn't let her take her books to the youth dance a few months ago to ask her to sign them. He thought that might be tacky. I think he was right. 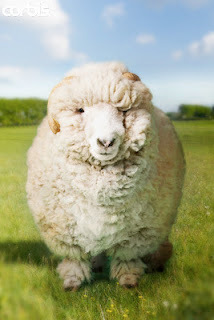 I too am a sheep. and I love your sisters too!! me too!!! in fact i just finished the third one two weeks ago. my sisters read them last year and all of my friends kept telling me how great they were but i just wasn't going to read a book about vampires!!! but they were fabulous and i too can't wait for the movie!! we should see it together!! YAY!!! It's about time... I will never lead you astray with books!! I'm a bookaholic... And that series is one of my favs. P.S. I hope it's not my books you're reading in the bathroom...SICK-O!! hey, I told ya I was totally kidding about the bathroom thing!! !